Special needs: Keep cabbage moths away from it. When to plant: Transplant into the garden after the last frost or grow as a fall crop in warmer climates. 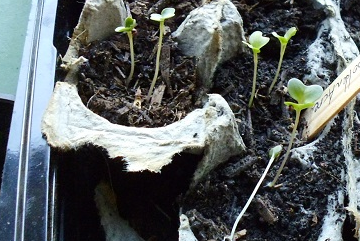 How to grow: The seed can be either directly sown or transplanted after about 6 weeks of growing indoors. If using containers, select one that is at least 4 gallons. Keep cabbage moths and other pests away to prevent the plant from being eaten. How to harvest: Once a head has formed, use a knife to remove the head. If the base is still intact, a second, smaller head will grow.